Heart 2 Sizes Too Small? Mr. Grinch, See Your Cardiologist : Shots - Health News Not many patients have a heart that grows three sizes in a day. 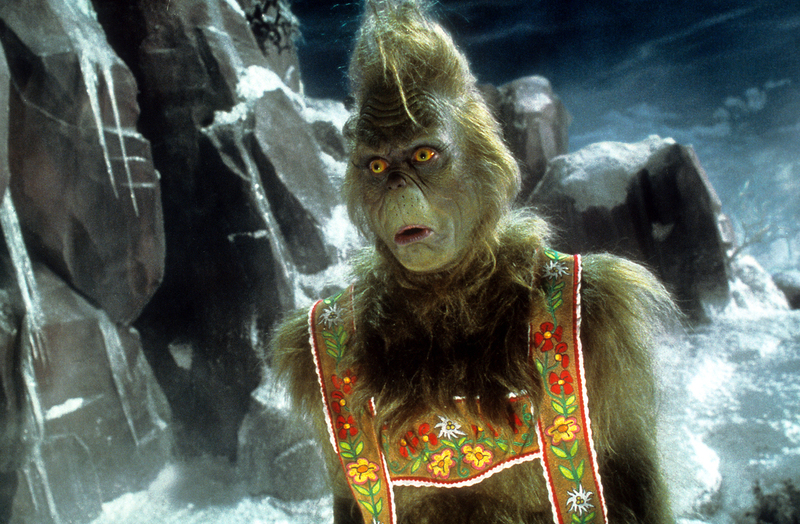 Cardiologist David Kass ponders what could have caused the Grinch's abrupt change of heart in the classic holiday story. 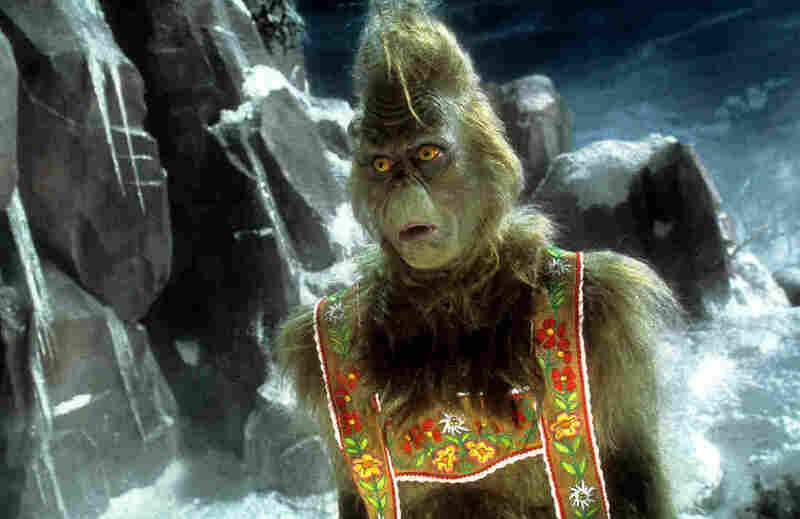 Jim Carrey stars as the title character the 2000 version of How The Grinch Stole Christmas. "It's a tough problem," says Dr. David Kass, a professor of cardiology at Johns Hopkins University who has been studying the Grinch. "We don't see this very much." There are rare conditions that effectively reduce the size of the heart, Kass says, and they're no fun. "You're going to have that small heart beating twice as fast" in order to supply enough blood, he says. "That means you're going to feel your heart racing all the time." So how could that heart be two sizes too small? That could make you grumpy. And it would definitely make it hard to perform physical labor, like sliding down every chimney in Whoville to make off with all the Christmas presents. Kass doubts that sort of exertion would even be possible for someone whose cardiac output was so limited. "He would be doing more traditional Grinchy things, just sitting around moping," Kass says. That is possible, sort of, Kass says. "There are situations where the human heart can fairly rapidly get large," he says. "But you don't feel good when that happens. This couldn't be Grinch's issue." So Kass has settled on a different explanation for the Grinch's fast-growing heart: "He's really a snake," he says. "I mean not just any snake, he's a python." That makes sense, Kass says, because the heart of a Burmese python is designed to grow rapidly after a big meal. Like a generous helping of roast beast? "That would do it," Kass says. Indeed, Dr. Seuss, author of the 1957 classic book How the Grinch Stole Christmas!, seems to hint at a herpetological explanation in his text. He writes that the Grinch "slithered" around the room where he met little Cindy Lou Who. But Kass says even the snake-who-had-a-big-meal hypothesis isn't perfect. "When a snake like a python has done that, does he like run around lifting sleds?" Kass says. "No. He looks like all of us after Thanksgiving. We're on the couch. If we can watch TV, that's about it." Kass talks about the Grinch's cardiovascular health in this video. And scientists at Johns Hopkins scientists have come up with theories for the condition of other seasonal characters, including Rudolph's red nose and Ebenezer Scrooge's time travel.